7 Great Gifts for Foodies Who Love Books! 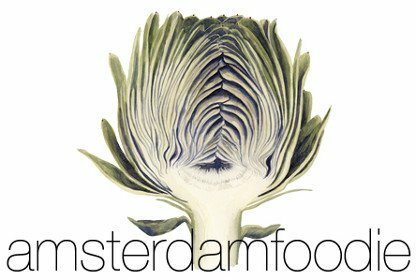 About the Amsterdam Cookbook: Discover the taste of Amsterdam! 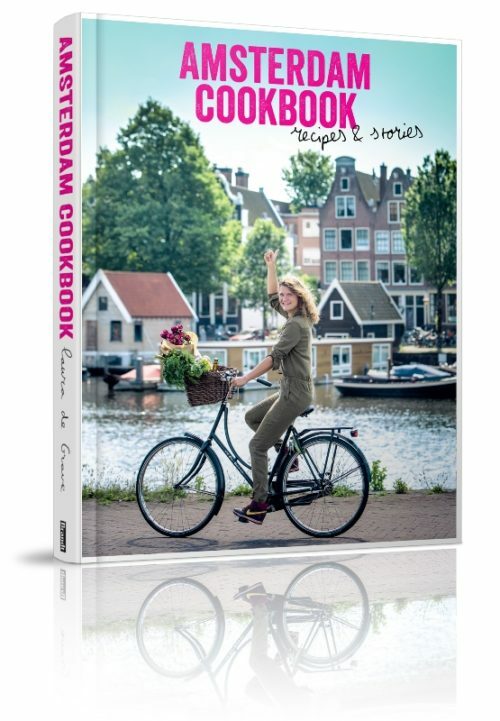 In this cookbook, culinary journalist Laura de Grave introduces you to her favourite Amsterdam restaurants and teams up with the city’s chefs to prepare typical Amsterdam dishes that have become indelible features of the local cuisine. She invites us into the kitchen where she reveals not only the recipes themselves but also the stories behind each dish. She also meets the master craftsmen who are responsible for preserving the often centuries-old traditions and methods of cooking. Hop up on the back of Laura’s bike and join her as she criss-crosses culinary Amsterdam in search of the best markets, typical Amsterdam restaurants, the coolest hangouts and secret addresses where only the very best of Amsterdam products are prepared. 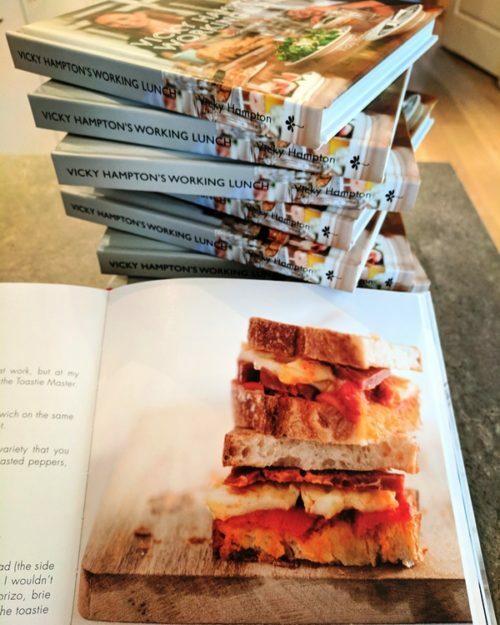 About Vicky Hampton’s Working Lunch cookbook: Bored of overpriced ham-and-cheese sandwiches and packet soups from the canteen? If your workplace has a surface big enough to fit a chopping board, and perhaps a kettle or toaster at best, Vicky Hampton’s Working Lunch is here to help. This compact lunch cookbook is for people who are keen to make healthy, simple meals, but who don’t have the time to spend hours in the kitchen – whether at work or at home. The book features 50 easy lunch recipes (in English) covering fresh vibrant salads, cool summery soups, spicy couscous and pimped-up sandwiches. Available in both print and e-cookbook versions! 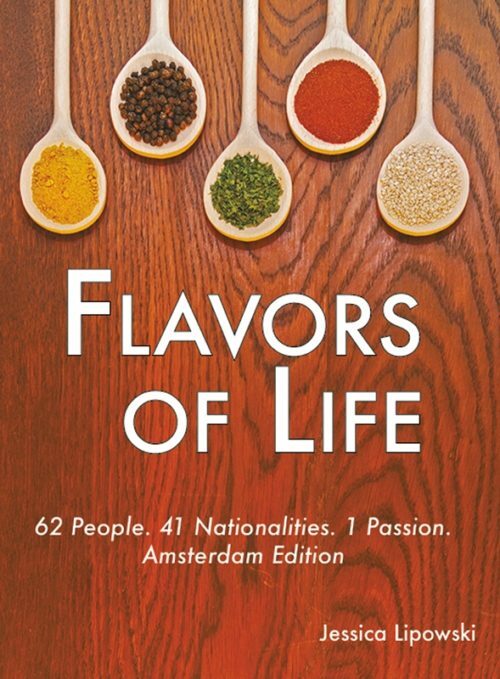 About Flavors of life: Flavors of Life is a collection of inspirational biographies, sharing the stories of 62 entrepreneurs from around the world. Ranging from a famous Swiss drummer to an American ballet dancer to those who grew up during the apartheid in South Africa or in a small village in the mountains of Nepal, they are connected by a common thread: all own a restaurant in Amsterdam. To them their lives are normal – just everyday events and choices – but their experiences are unexpected and fascinating. 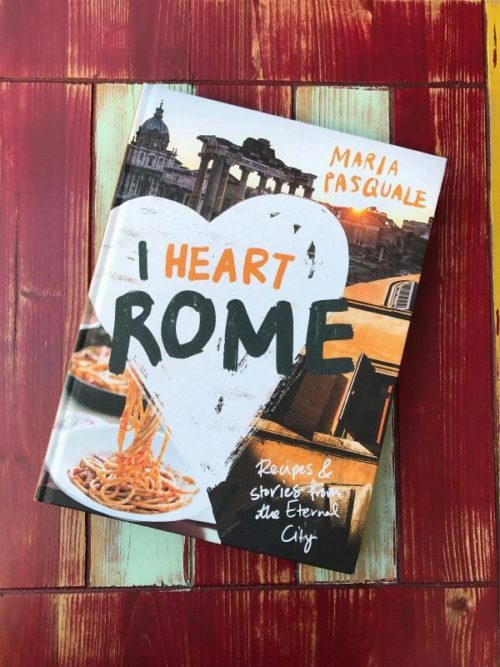 About I Heart Rome: A love letter to Rome, with beautiful food and location photography, classic recipes, and stories from the heart of the Eternal City. Rome is an open-air museum; it’s a modern-day marvel of a city that has seen centuries of emperors, popes, movements, triumphs, and tragedies. It’s a city where the present and past sit side by side and interact in a beautiful, yet sometimes complex, kind of way. Through quirky local stories and glorious pictures, I Heart Rome takes you on an inspiring journey through the Rome that tourists rarely get to see. In a country justifiably famous for its food, Rome boasts its own fascinating and unique cuisine that is intrinsically tied to its history. Influences from Ancient Rome through to more recent events are reflected in the food culture of the Eternal City today. And given the passionate nature of Romans as a people, it’s no wonder that dining is taken so seriously. From carbonara recipes to artichoke-frying techniques, just about everything food-related is up for—and causes much—debate in Rome. About Brunch is Hell: Society is under threat. The culprit? BRUNCH. Not merely a forum for overpriced eggs, brunch is a leisure-time-squandering hellscape, embodying all that is soul-killing and alienating about modern life. How to fight back? By throwing dinner parties–the cornerstone of civilized society! Dinner parties–where friends new and old share food, debate ideas, and boldly build hangovers together. If we revive the fading art of throwing dinner parties the world will be better off, and our country might heal its wounds of endless division… all without having to wait in a 9-hour line to eat toast. To that end, BRUNCH IS HELL takes hesitant hosts through every phase of throwing a great dinner party, from guest list to subpoena. 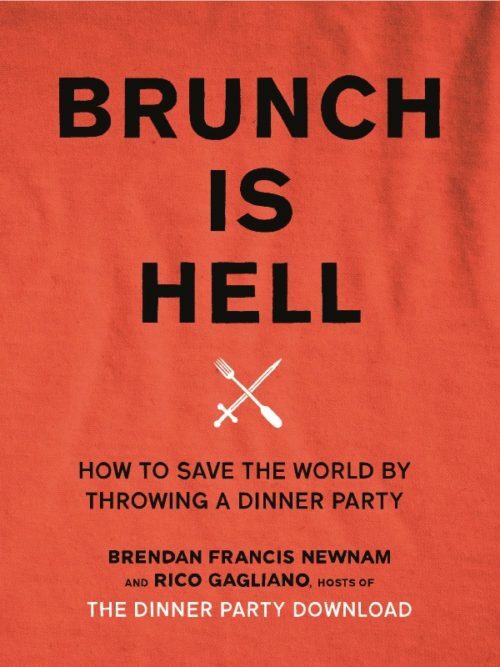 Loaded with wit, celebrity advice, and tongue-in-cheek humour–plus sincere insights about how humans can be more generous to each other – BRUNCH IS HELL is a spirited guide to restoring civility. 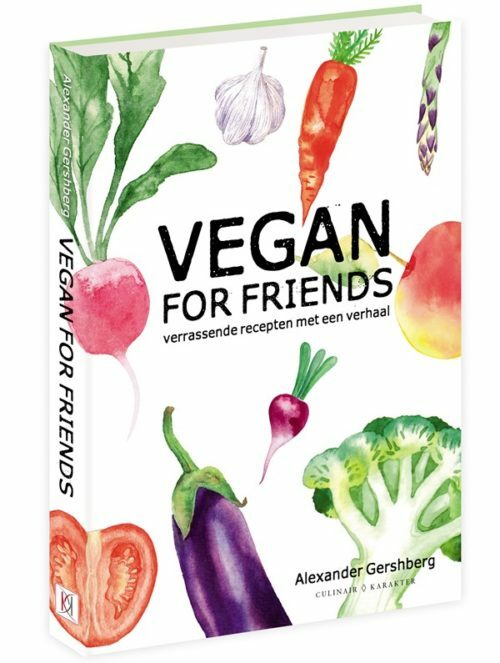 About Vegan for Friends: Chef Alexander Gershberg takes plant-based vegan cuisine one step further. The recipes make delicious and rich dishes that you wouldn’t expect from vegan food – classics that home cooks will be happy to repeat many times. But beyond a regular cookbook, Vegan for Friends is a journey: each chapter brings a different story with a different style of cooking. The traditional Russian cuisine of his mother, the Jewish comfort food he makes for his grandmother, the Middle Eastern cuisine with which he grew up, the quick meals he cooks for his mates when there’s nothing left in the fridge, the edgy food he cooks for his musician friends… Just like the contemporary urban landscape, this book is a multicultural culinary mosaic. It is layered with stories, jokes, emotions, people, friends, countries and cultures. Some recipes are simple, others more complicated, some are modern and others traditional, but what unites them all is the love, the soul and the people that Gershberg portrays so generously through his cooking and writing. 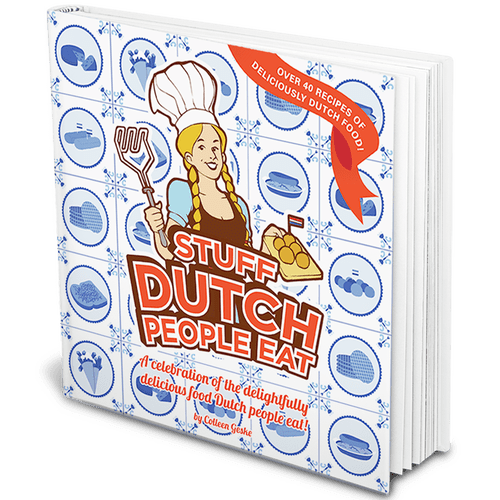 About Stuff Dutch People Eat: Stuff Dutch People Eat is a comprehensive celebration of Dutch cuisine. Whether you’re looking for festive sweets, traditional tastes or colonial classics, we’ve got something for every appetite! From breakfast straight through to dessert, Stuff Dutch People Eat will lead you through a culinary adventure spanning flavours—and centuries! Discover 40 easy-to-make recipes that are sure to restore your faith in the delightfully delicious Dutch kitchen! Eet smakelijk!